Cold, wet Winter in 2017 +++++ severe drought conditions experienced here in Summer 2018 +++++ record average temperatures for December 2018 and January 2019 have grass growth rates surging +++++ genuine unpredictability of the Irish weather +++++ the need for contingency planning +++++ the importance of a reliable, sustainable supply of fresh grass or quality silage never more apparent +++++ outlook for 2019 positive however +++++ continuing global milk price stability gives confidence +++++ Dairy industry sources here predicting a milk production increase by 300 million litres this year. MoreGrass +++++ complete range of seed mixtures +++++ re-seeding or overseeding +++++ specialized, reliable and sustainable +++++ global genetic diversity +++++ MoreGrass certified in Ireland by the DAFM +++++ tailored specifically to Irish Farming conditions +++++ MoreGrass focus on Persistency, Yield, Milk Production, Quality and Cost Efficiency. 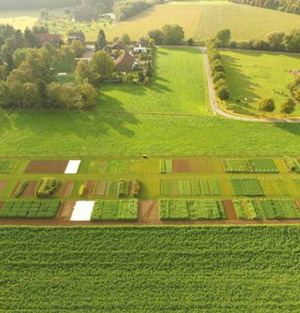 MoreGrass has a portfolio of over 160 varieties of global genetics and approx. 20 new varieties are under observation per year. 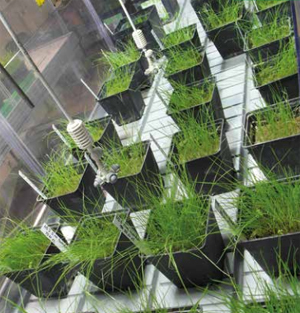 There are also regular growing tests on a trial site. 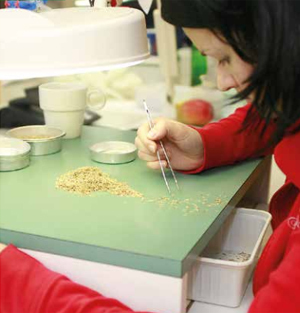 About 6,000 seed samples are tested per year and MoreGrass has a regular quality control of all incoming and outgoing seed products. MoreGrass has an area of about 55,000 m² for storing, cleaning, manufacturing, mixing and coating seed. More than 5,000 pro-ducts are available and there is an intensive cooperation with more than a dozen of global breeding institutes so that innovation and technical success is insured!